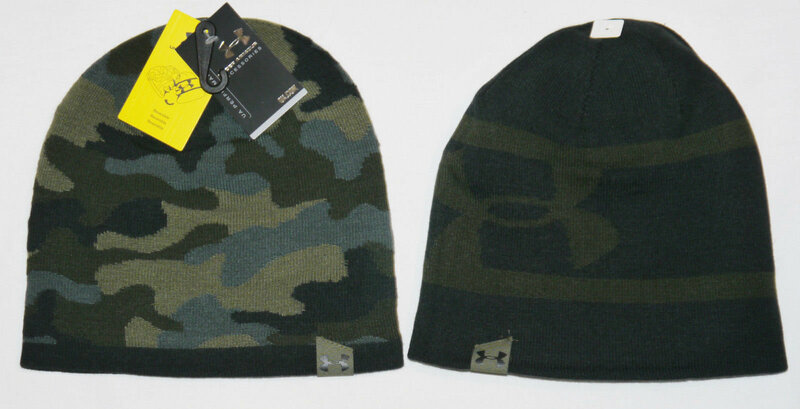 For multiple style options and superior quality, add the Under Armour Men's Two-Way Camo Beanie to your wardrobe. Constructed with ColdGear fabrication, this hat offers unbeatable protection from the elements, and has moisture-wicking properties to keep you dry. A reversible design offers versatility so you can switch up your look as you go. For working out or everyday wear, the UA Camo Beanie has the tools you need to succeed.